When Google sneezes, the internet catches a cold. Luckily, today's financial figures from the internet search behemoth amount to little more than a sniffle. 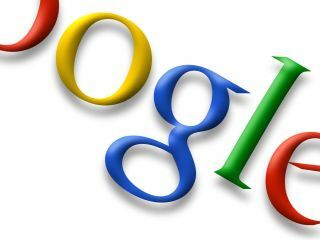 Google today announced that it had suffered its first ever decline in revenues during the first quarter of 2009, with its $5.5 billion (£3.7 billion) of receipts clocking in at three per cent less than the last quarter of 2008. However, the figures still represent an overall increase of six per cent compared its revenues from a full year ago. Net income for the first quarter of 2009 was $1.4 billion (£950,000) as compared to $382 million (£256 million) in the fourth quarter of 2008. Countries outside the US accounted for over half (52 per cent) of revenues, with the UK alone representing 13 per cent ($733 million, £490 million) of the company's totals. Aggregate paid clicks, which include clicks related to ads served on Google sites and those of its AdSense partners, increased by just three per cent over the fourth quarter of 2008. "Google had a good quarter given the depth of the recession, thanks to continued strong query growth. These results underline both the resilience of our business model and the ongoing potential of the web as users and advertisers shift online," said Eric Schmidt, CEO of Google. The company shed just 58 jobs during the year's first three months, ending the quarter with 20,164 employees and a mountain of nearly $18 billion (£12 billion) in cash and liquid assets.